Florida stone crab claws are served fresh at all Frenchy’s restaurants during harvesting season (Oct. 15 through May 15). Known for their sweet succulence and snowy white meat, stone crab has a delicate texture, rich mouth feel and salty finish – and they are a completely sustainable seafood product! Our fishermen capture the crab, remove its claws and return the crab back to the water. The stone crab will regenerate its claws in about 18 months. These tasty claws are supplied by Frenchy’s Stone Crab Company, which is comprised of independent crabbers that focus their efforts only on the Florida stone crab. With the support and dedication of these professional crab boat captains – many who’ve been crabbing for us for over 20 years – we harvest, cook, chill and distribute this special seafood product during season only, so it’s fresh, never frozen. Watch our video that shows the whole process! 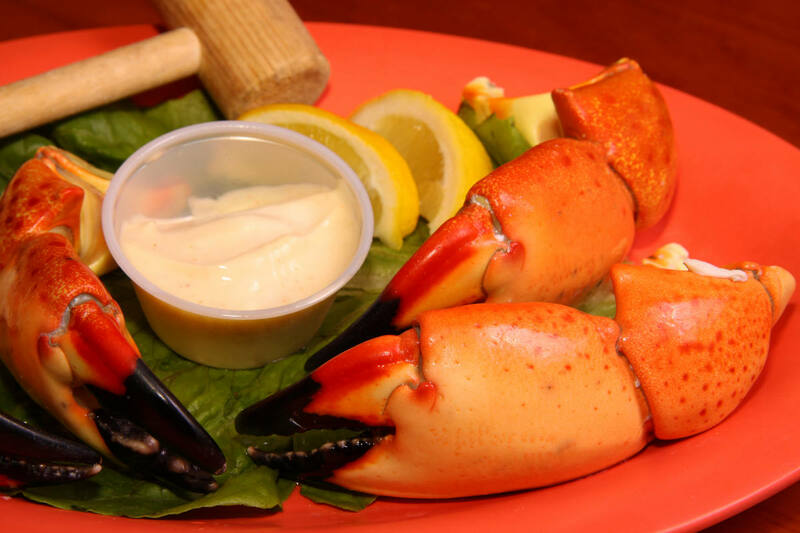 You can have the same quality seafood served in Frenchy’s restaurants right from Frenchy’s Stone Crab Company. Order fresh stone crabs and other seafood online for overnight shipping direct to your front door, or you can stop in our retail market in Palm Harbor. We also sell wholesale and ship direct to seafood markets, dealers, caterers, supermarkets and distributors.